In recent years, the Internal Revenue Service (“IRS”) has been allowing plan sponsors to request determination letters on the qualified status of their retirement plans only during certain periods (cycles). For individually designed governmental plans, such a cycle (Cycle E) opened on February 1, 2015, and will remain open until January 31, 2016. 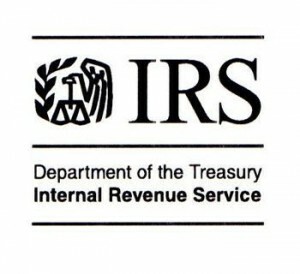 The IRS has also issued some helpful guidance on governmental plan determination letters. For the reasons set forth below, it is important for governmental plans intended to be qualified to make timely requests for IRS determination letters. Why does it matter whether a governmental plan is qualified? In the past, governmental plans have often not been concerned about their qualified status. Their theory was that a trust under a governmental plan is always tax-exempt, regardless of the qualified status of the plan. News Release IR-1869 (August 10, 1977). And of course, since a governmental entity does not pay taxes, it is not concerned about tax deductions for contributions to the plan. Employees are not taxed on employer contributions to a qualified plan. By contrast, employees are taxed on employer contributions to a nonqualified plan when those contributions become vested. Mandatory employee contributions to a qualified plan can be made pretax under Internal Revenue Code section 414(h)(2). No such relief is available for mandatory employee contributions to a nonqualified plan. The tax on distributions from a qualified plan can be deferred by rolling the distribution over to another qualified plan or to certain other kinds of plans. Rollovers are not available for distributions from nonqualified plans. Qualified plans are able to invest in certain types of investment funds not available to nonqualified plans. Does a governmental plan need a determination letter to be qualified? The plan sponsor would have to enter into a special closing agreement with the IRS and agree to pay relatively expensive sanctions. 1. A “qualified” plan is a retirement plan that meets all of the requirements of Internal Revenue Code section 401(a) to obtain certain tax benefits. There are alternative ways of obtaining favorable tax status for a retirement plan, such as Internal Revenue Code section 403(b) (tax-sheltered annuities and custodial accounts), 457(b) deferred compensation plans, or individual retirement accounts or annuities. The determination letter process applies only to qualified plans. 2. Prototype (volume submitter) plans designed for adoption by a variety of employers are subject to different deadlines, which vary depending on whether they are defined benefit or defined contribution plans. However, such plans are rare in the governmental context. 3. For this purpose, “nonqualified plan” refers to a plan that does not qualify for any of the alternative methods of achieving favorable tax status, as discussed in footnote 1. A “qualified” plan is a retirement plan that meets all of the requirements of Internal Revenue Code section 401(a) to obtain certain tax benefits. There are alternative ways of obtaining favorable tax status for a retirement plan, such as Internal Revenue Code section 403(b) (tax-sheltered annuities and custodial accounts), 457(b) deferred compensation plans, or individual retirement accounts or annuities. The determination letter process applies only to qualified plans. Prototype (volume submitter) plans designed for adoption by a variety of employers are subject to different deadlines, which vary depending on whether they are defined benefit or defined contribution plans. However, such plans are rare in the governmental context. For this purpose, “nonqualified plan” refers to a plan that does not qualify for any of the alternative methods of achieving favorable tax status, as discussed in footnote 1.